Over the past 30 years, I have coached athletes and teams to multiple National, European, World and even Olympic Championship titles. This in a variaty of disciplines like Triathlon, Marathon, Trail Running, Road, MTB and Cyclocross. I have worked with all levels of individual racers from novice to professional. Frank is owner of Stapsport.com. 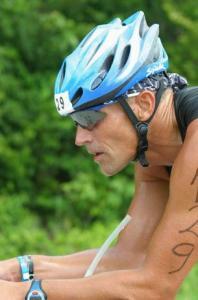 Who has been training and competing in triathlons since early 80’s. Frank successfully finished 37 Ironman races.He studied exercise physiology, sports nutrition and biochemistry, he also holds coaching certificates for several endurance sports. He is one of the few Coaches that holds the prestige’s level Top Coach 5. Success. Coach Frank Senders has been notified of your message.